I recently made some cupcakes for a friend’s wedding. They wanted chocolate cupcakes with buttercream. 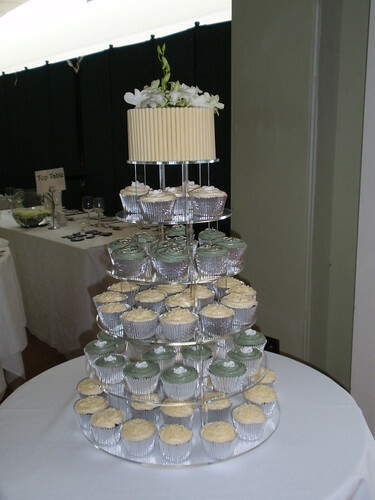 I made the buttercream in both a cream and a green which matched the bridesmaids’ outfits. To add a bit of sparkle the cupcake cases were silver and I used silver chocolate beans also as well as white chocolate curls. As they wanted to cut a cake on the day I also made a chocolate cake which was covered in buttercream and then had white chocolate cigarellos round the outside. 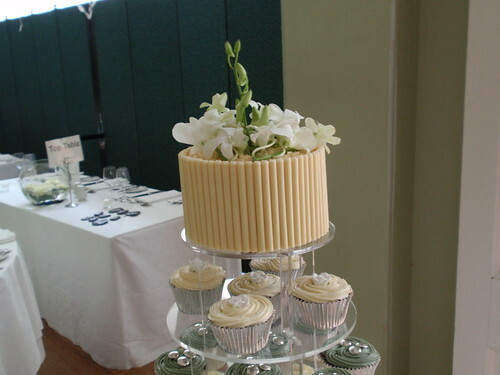 Using the cake stand I have it all came together really well and with the flowers on top made a great centrepiece. It took a fair amount of research to find everything that was right for these cakes and I spent a while finding the right colouring to get the desired shade of green. A really good shop that I can recommend is Surbiton Sugarcraft. They have a small shop in Surbiton that has everything you can imagine for cake decorating and it can all be ordered online. I used the Sugarflaire colour powder to make the buttercream the desired colour. I wasn’t sure how well it would work initially as I have been used to using liquid colouring but it was great and really easy to use. Preheat the oven to 190 degrees Celsius. It is better to use a regular setting rather than a fan setting. For these cupcakes I then used an icing bag with a large nozzle and iced them using that. It gave a much more professional look and was quite quick to do once you get used to it. 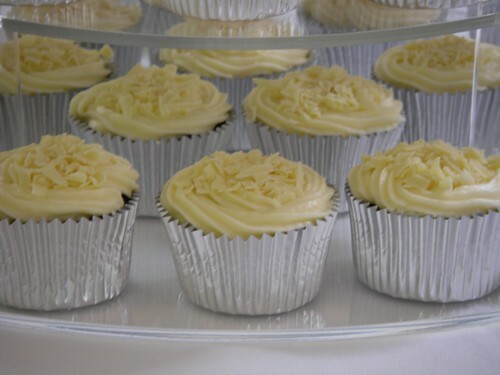 To make a good buttercream it is also vital to ensure your have softened butter - so leave it out overnight in a cool room. the beat it on its own first before adding the other ingredients - this makes a really light and fluffy buttercream. These cakes and suggestions look amazing. Good idea! I wasn't hungry till I came across these photos and recipes of yours! They look amazing and very tasty indeed! Great cakes! Thanks for the recipe. How long did it take you to make the cakes and how long before the wedding can you make them? Cheers. Hi your cakes look amazing, I did something similiar a few weeks ago for a wedding and just before that for a birthday party. your cupcakes look regimentally straight on the sides, what did you bake them in? 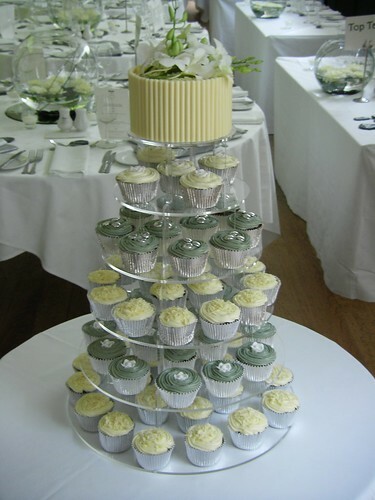 Mine are normally wide on top, narrow on the base, my cake stands the same as yours, but yours looks so much tidier!